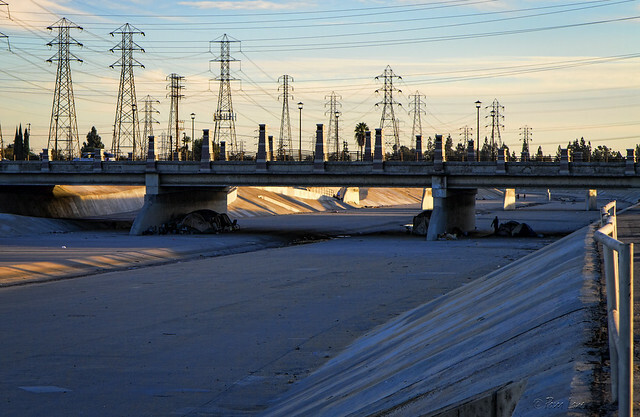 Looking southward down the Rio San Gabriel Riverbed, you can see the stately pillars and wavy connecting lines of the redesigned Firestone bridge. Below, you can see a homeless village. See Volunteers canvass Downey streets to inventory homeless for information on how Downey volunteers have helped to tally the homeless population for the last two years.